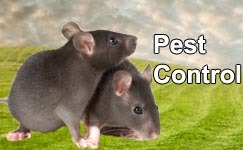 Keep your deck or patio free from bothersome flies. Control those pesky flies with our Victor all-natural Outdoor Fly Trap. 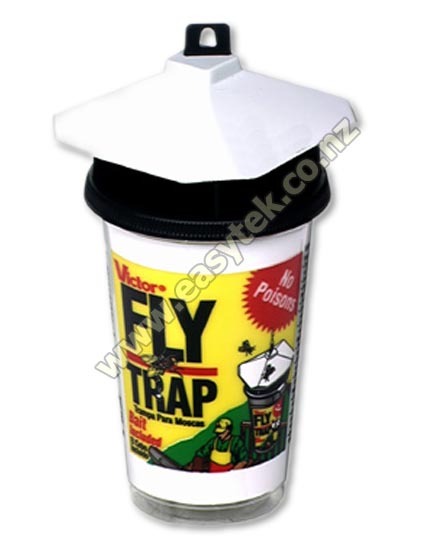 Simply hang the Fly Trap in a nearby corner of your yard, and let its proven attractant do the rest. The Fly Trap’s all natural bait is extremely effective against most species of nuisance flies, attracting them to the trap, and drawing them inside. Safe, effective, and 100% pesticide free, the Victor Outdoor Fly Trap is the environmentally friendly way to control outdoor flies. The trap attracts nearby flies and captures them within the jar. After about 10 days, simply empty the dead flies into the trash, replace the bait, and the reusable Outdoor Fly Trap is ready to go again. The Outdoor Fly Trap uses a highly effective, yet safe and non-toxic attractant. 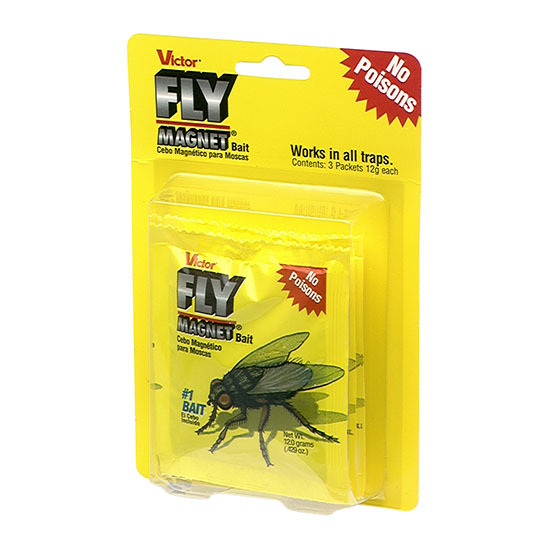 The Victor Fly Trap includes one reusable, non-toxic trap with hanger and one lure (lasts about 10 days). Refill bait packs are available separately. Simply place the fly trap in areas where flies are present - light colored outdoor walls, warm sunny areas, stables or food processing areas. Can I use the Outdoor Fly Trap in the house? Although the Outdoor Fly Trap is safe to use inside, the attractant has a strong, unpleasant scent (attractive to flies, but not to people), making it best suited for fly control in open environments. The trap has been working well, but now it’s almost empty – Why? The trap may have caught most of the flies in the area. It’s not unusually for a trap to out-catch nearby flies, controlling the local infestation. 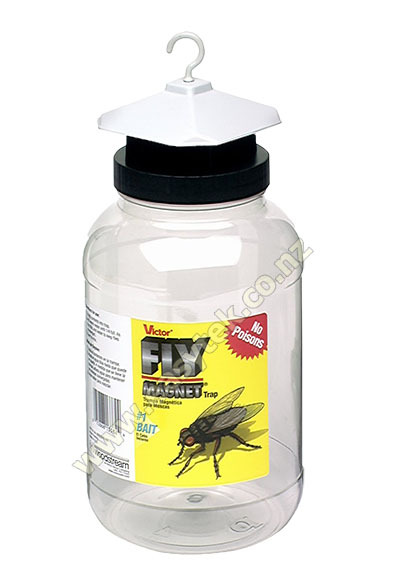 Victor Fly Trap M502 reviewed by Carol F., Greytown on 2016-04-14 . 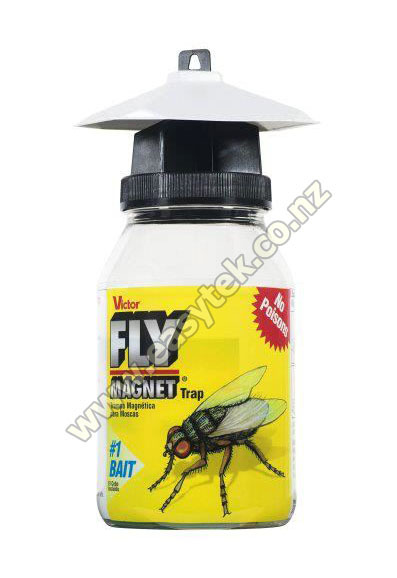 Victor Fly Trap M502 reviewed by Glenys H., Lower Hutt on 2016-03-22 . Would have been prepared to pay more for a slightly stronger container OR one I could throw away without emptying! 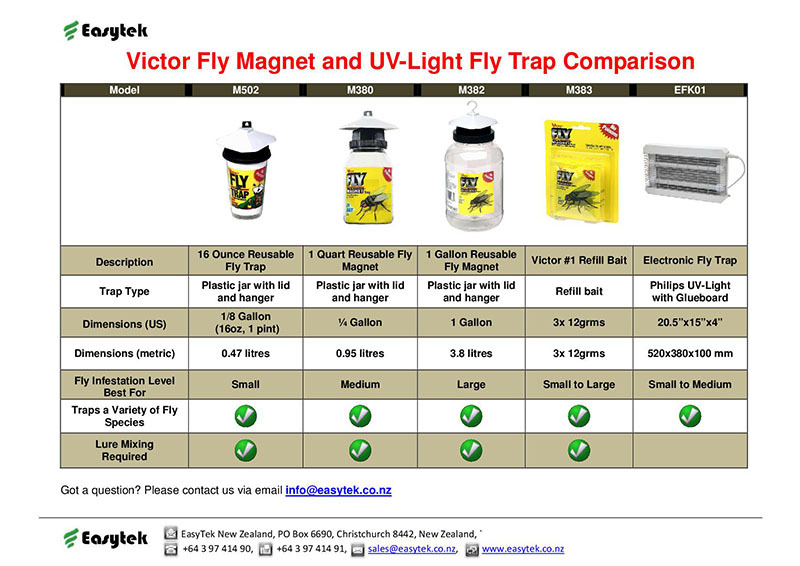 Victor Fly Trap M502 reviewed by Paul M, Kaikuora on 2016-03-12 . Victor Fly Trap M502 reviewed by Heidi D. on 2015-02-18 . Victor Fly Trap M502 reviewed by Elizabeth M. on 2014-12-10 . I gave flytrap,to my mother who lives at Oxford. Her only doubt about it is that it is light and doesn't really cope with nor wester. Victor Fly Trap M502 reviewed by Dianne N. on 2014-10-15 . Victor Fly Trap M502 reviewed by wayne H. on 2013-12-08 . Victor Fly Trap M502 reviewed by Christine V. on 2013-03-25 .